Launch a Supervised Flossing and Brushing school program now! It is your opportunity to take a bite off tooth decay, the most common disease in the world. You can scale it as big as you want or need. It will be a benefit to everyone, and especially to the underprivileged. Studies have clearly shown that supervised tooth-brushing leads to a significant reduction in absolute oral health inequality. Billions of dollars are spent each year to treat caries, a preventable disease. Millions of hours of work and school are missed each year because of this disease. School programs are an opportunity to make progress against the most common disease in the world. What’s exciting about school brushing and flossing programs is that they can be scaled to be as big as we want or need – and we can start now! Implementing an after-meals oral hygiene program with Oh’Pal. Quality research shows that supervised toothbrushing leads to a significant reduction in caries. 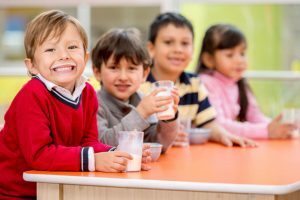 TeethFirst’s innovative approach makes it easy for any school to implement after meals oral hygiene programs. Oh’Pal was designed for kids. It makes it super simple and mess-free to clean around and between teeth in the classroom. With fun slogans like: Healthy smiles are cool: let’s make oral health go viral! We know that the fear of disease doesn’t inspire people to change their health behaviors. Even when not changing their behavior may lead to a premature death. What if colorful visuals and fun slogans had the capacity to better influence health behaviors? 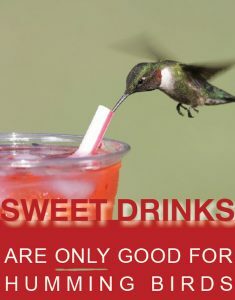 Slogans such as “Strong Teeth – Strong Body” or “Sweet drinks are good… only for hummingbirds” and many more. With good questions aimed at increasing health awareness. For example: “What works for you in your mouth?” or “What are the weather conditions in your mouth?” and many more. Inviting a TeethFirst oral health specialist to give presentations. TeethFirst is here to make a difference. We are always happy to share our passion for oral health. Healthy smiles are cool: let’s make oral health go viral! Celebrating World Oral Health Day on March 20th every year, shining the spotlight on oral health and its essential role in supporting overall health. On this World Oral Health Day website you will find all kinds of ideas and resources to help you to celebrate oral health in style with posters, banners and more in your school and / or community. Contact TeethFirst for more information.